The Samanta duet performance at the Naval Kathak Utsav was a personification of a beautiful mirage. With an amalgamation of two gharanas of #Kathak namely #Lucknow and #Jaipur the duet to brought about the beauty and andaaz from Lucknow and speed and taiyyari from Jaipur Gharana. From calculated moves to the years of imbibed learning, the whole performance was a perfect balance of both the aspects of #Gharanas which provided a holistic experience to the dance performance. 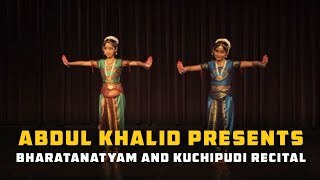 The duet was performed by the young Shubhi Johari and Amit Khinchi who can be considered protégés of Classical Kathak. 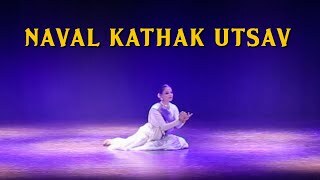 Watch this scintillating Kathak performance captured by India Heritage Desk and vocal by Samiullah Khan where Shubhi Johari and Amit Khinchi made heads turn with her swift rise in the art of performing. 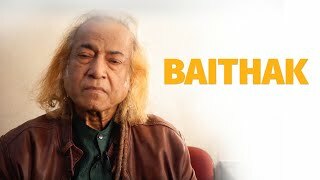 Legendary Sarod player Ustad Aashish Khan along with his nephew Shiraz Ali Khan presented an ebullient evening of Indian Classical music at 'Baithak' organized by Legends of India. 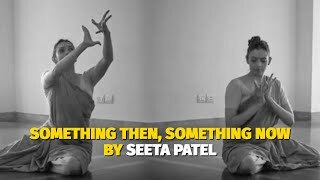 A walk-through the rehearsal of the grand premiere of "Something Then, Something Now" by Seeta Patel. 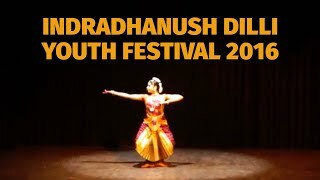 Indradhanush Dilli Youth festival 2016 celebrates the immense richness and diversity of Indian Classical Dance. Young artistes from across the country performed in the presence of Indian Classical dance virtuosos. 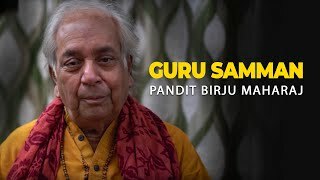 The legendary Kathak maestro Pandit Birju Maharaj was honoured with the 'Guru Samman' by Sunaina - Society for the upliftment of National Arts of India. 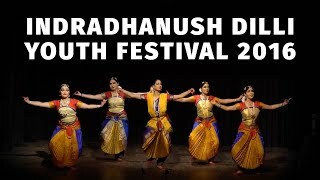 Indradhanush Dilli Youth festival 2016 celebrates the immense richness and diversity of Indian Classical Dance. Sunaina - Society for the upliftment of National Arts of India organizes the festival to promote young artistes from across India. The two-day festival showcased enthralling performances by budding artistes. The legendary Bharatnatyam dancer Smt. Kanaka Srinivasan was honoured with 'Guru Samman' for her outstanding service to the art form. 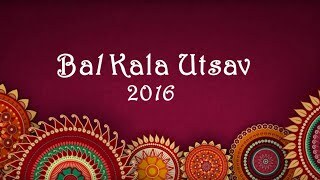 SUNAINA – an NGO promoting arts and culture finely arranged for Bal Kala Utsav that tapped the talent of children from every nook and cranny. 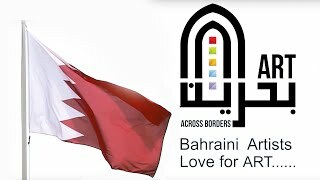 Workshops and competitions held, mainly revolved around dance, drama and music and arts. The differently-abled children competed at par with the normal ones, which was an astounding spectacle. The expenses incurred towards these participants transport, participation, food, accommodation etc are borne by the society through donations from benefactors. Dated November 9th to 14th 2016, the venues of the festival included Akshara Theatre and Delhi Tamil Sangam. 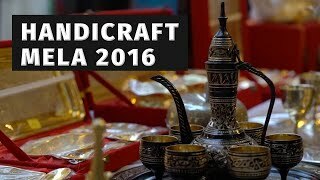 We celebrate our rich and magnificent heritage of art and handicrafts. Listen in to some of our talented 'Shilp Guru' awardees who have been passionately nurturing and preserving different handicrafts. 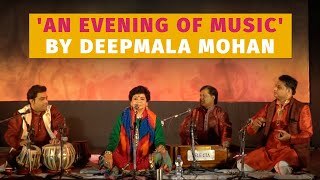 At 36th India International Trade Fair 2016, the renowned folk and Sufi Singer, Deepmala Mohan interlaced the melodies and magic in An Evening of Music celebrating womanhood. She is the master of folk songs in dialects like Bundelkhandi, Awadhi, Bhojpuri and Brij, and her specialty is to keep the listeners drawn in throughout her performance. Each verse sung by her swanked about the innate divinity, dynamism, and beauty residing inside every woman. Elisabeth Heilman Blind, an experienced artiste from the Greenland performs 'Uaajeerneq' which is an Inuit ancient traditional mask dance that dates back to 3-4000 years, and was in the beginning used as a fertility estate ritual. Later on, it turned into a kind of entertainment. 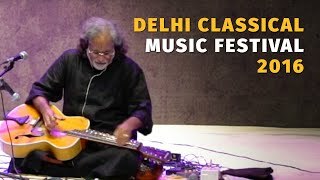 The Day 3 of Delhi Musical Festival filled the Kamani Auditorium with the delightful music by the maestros. The honeyed melodies by Smt. Kalapini Komkali (Hindustani Classical Vocals) and sonorous sounds of Mohan Veena by the master architect and Grammy-awardee Pt. Vishwa Mohan Bhatt moved the entire audience. 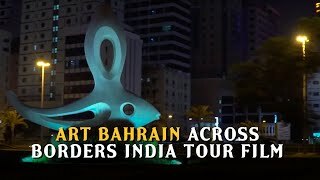 The festival dated from 18th – 22nd Oct. 2016. Atul Satya Koushik's theatrical, "Raavan Ki Ramayan" tells the mythological tale from the unsung perspective of the mighty Raavan. Labeled as the abductor, the culprit, and whatnot, in certainty, Raavan was a dutiful king of a flourishing empire who couldn’t watch the ill-treatment of his sister. Blindfolded by his angst and thirst for revenge, he ended up abducting a woman and throwing a great battle against the supreme Rama. Apart from the brilliant concept, the stage presence of Puneet Issar was an added USP! Rest of the story unfolded and astounded the audience at Kamani Auditorium on 6th August – 7th August 2016. 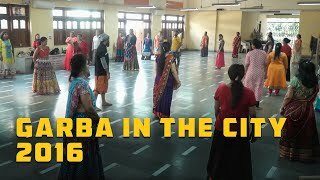 A month long workshop, Garba in the City is run under the aegis of Richa Nritya and Kala Society to introduce the Dilliwalas to folk traditions of Gujarat. 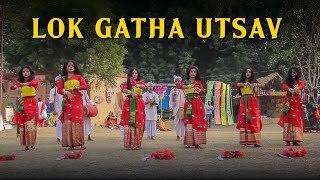 Richa Gupta and Bharat Singh Rajawat, the visionary behind the workshop, tries to create new experiences every time by mixing the cultural movements of Garba and Dandiya with contemporary style. The festive time of Navratri amps up the experience. 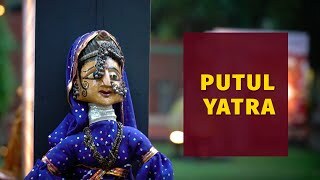 In the ‘Putul Yatra - 8th India Puppetry Festival’, Sangeet Natak Akademi demonstrated and revived the dreamlike beauty of traditional puppet art from every nook and cranny of the country. It was a sheer delight to watch the theatrical acts and table talks featuring string puppets, shadow puppets, mask puppets, rod puppets and more. The festival ran from 26th – 30th Sep. 2016, and we can’t wait to see the next edition! The ‘Film & Theatre Society’ presented ‘Chakravyuh’, a play written and directed by Atul Satya Kaushik at Kamani Auditorium. The plot of this mythological adaptation revolves around the great battle of Mahabharata exploring the strategic killing of Abhimanyu, Arjuna’s son. One of the major highlights from the show was the powerful voice and stage presence of Nitish Bhardwaj who enacted Lord Krishna after 25 years since BR Chopra's television series Mahabharata. Also, the play gave a substantial message to the addressees – life is tough and no one has ever been able it get out of it alive, so better go away with all the glory! Indradhanush Dilli Youth festival 2016 celebrates the immense richness and diversity of Indian Classical Dance. Sunaina - Society for the upliftment of National Arts of India organizes the festival to promote young artistes from across India. The two-day festival showcased enthralling performances by budding artistes. 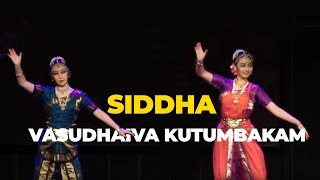 The legendary Bharatnatyam dancer Smt. Kanaka Srinivasan was honoured with 'Guru Samman' for her outstanding service to the artform. Sarvam Foundation organizes dance residencies which create a spiritual space for the free flow of thoughts, ideas and inspiration between the Guru and the participants. The residency involves dance pieces taught by the Guru, discussions, and talks by eminent personalities. 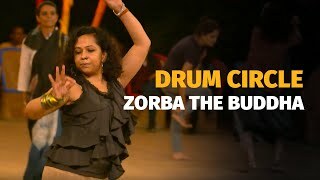 In the sixth edition of the residency at Zorba, The Buddha, New Delhi, Rama Vaidyanathan shares that the most important thing for a young dancer is the inspiration and such residences rejuvenate them. The three-day residency was attended by dancers from all over India and abroad. 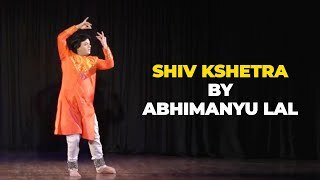 A fabulous Kathak interpretation of ‘Varanasi K Vishwanath’ by Abhimanyu Lal regaled the audience at India International Centre, Lodhi Road, New Delhi on September 21, 2016. 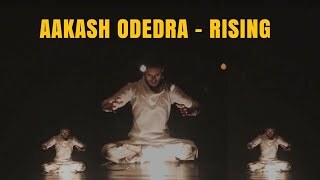 The endowed artiste Abhimanyu Lal made a remarkable entry on the hymn, “Ardha Kanth Pe Vish Ki Dhara”. In his jovial voice, he developed an amazing rapport with the audience and took them to a spiritual journey to dhaam. 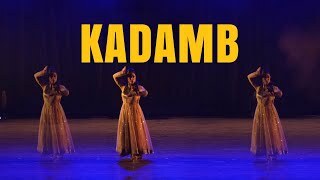 He put his spontaneity on the display when he matched his footwork to the taal given by his wife & Kathak dancer Vidha Lal and the musician's team. A bhajan, “Darshan Do Mahadev” in rag Yaman Kalyan gracefully concluded the show. With his technical precision and sheer devotion, he actually took everybody on a sojourn journey to Shiva Kshetra. 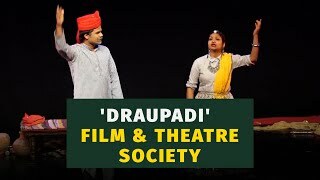 The Film and Theatre Society presented DRAUPADI – A musical story of Love, Land, War and Peace in Kamani Auditorium. Under the direction of the extremely talented Atul Satya Kaushik, the musical play explored the saga of Mahabharata through the present day society of Haryana. A group of women actors metaphorically representing the character of Draupadi questioned the patriarchal structure, menstruation taboo, and similar issues prevalent today. The critical perspective of the play left the audience thoroughly impressed. Noida NCR Learning city UnConference is the co-creation of space that blurs the lines between the facilitators and participants thus letting the free flow of creative energies, ideas, and thoughts. It promotes the Alternative Learning and doing things, unlike the clichéd ways. On day 2 of Manthan Festival 2016 organized by Kalpataru Arts, the audience were mesmerized by the presentation of Kathak by Sangita Chatterjee and Daniel Freddy who are the disciple of Guru Vaswati Misra. 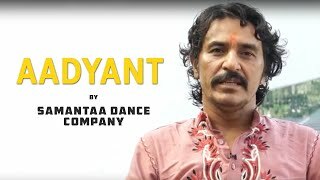 'Aadyant' - Samantaa Dance Company Pandit Rajendra Kumar Gangani and Pandit Jai Kishan Maharaj wishing their disciples Amit Khinchi and Shubhi Johari for 'Aadyant...The infinite', a Kathak dance production based on the journey of the life of a dancer. 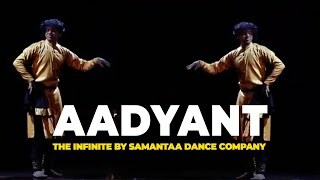 The show is presented and organized by Samantaa Dance Company. Established in 2007 Nadd Foundation aims to promote and propagate Indian Classical Music. 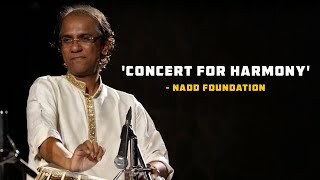 Nadd Foundation in collaboration with National Foundation For Communal Harmony presents 'Concert for Harmony' to relieve the mind and soul of the humdrum of routine life by introducing people to the beauty of invaluable Indian culture through classical music.